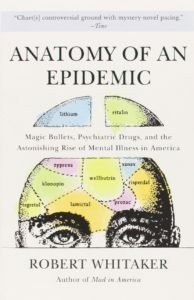 Anatomy of an Epidemic reviews the scientific literature to investigate the long-term effects of psychiatric medications. These documents provide access to the abstracts (or complete articles) referred to in the book. Videos from a conference in Copenhagen, Denmark. Recorded on May 14, 2014. Robert Whitaker’s slide presentations on the long-term effects of psychiatric medications for major mental disorders in adults, and on the “evidence-base” for the prescribing of psychiatric drugs to children. Medicating Children: When Long-term Outcomes Are Considered, Is This an Evidence-Based Practice? Medicating ADHD: If Long-term Outcomes Are Considered, Is This an Evidence-based Practice?